Google, with its sights fixed firmly on Amazon, is using this freebie--and the promise of faster service--to lure corporate customers. One hundred petabytes of free cloud storage. That’s what Google, which has its sights fixed firmly on Amazon, is offering Thursday as it launches its new, low-cost Nearline cloud storage service out of beta and into general availability. Nearline is nothing like Google’s Drive service, which gives individual users up to 15GB of free cloud storage, and business employees up to 30GB. Like Amazon and other competitors, Nearline offers data-heavy enterprises premium archiving and backup services. Google's Nearline also promises fast retrieval of data, which can take hours or days on competing services. Originally introduced to much fanfare in March, Cloud Storage Nearline now promises 99 percent uptime, on-demand I/O, lifecycle management and a broadly expanded partner ecosystem. The 100 free petabytes of storage—equivalent to 100 million gigabytes—is being offered for new users for up to six months, and aims to lure away companies currently using other providers. Google’s standard pricing is one cent per GB per month, so the credit is essentially worth $1 million for each month it lasts. Also free for a limited time is the service’s new on-demand I/O feature, which is designed to give organizations a way to increase I/O in situations where they need to retrieve data faster than Nearline’s provisioned read rate of 4MB per second throughput per terabyte of data stored. For the first three months after launch, on-demand I/O will be offered at no additional charge. Taking aim directly at Amazon, Google has even created a total cost of ownership (TCO) calculator to estimate how much can be saved using Google’s cloud storage rather than Amazon Web Services. For companies that decide to switch, Google’s Cloud Storage Transfer Service—previously known as Online Cloud Import—will import large amounts of online data from HTTP/HTTPS locations such as Amazon S3. 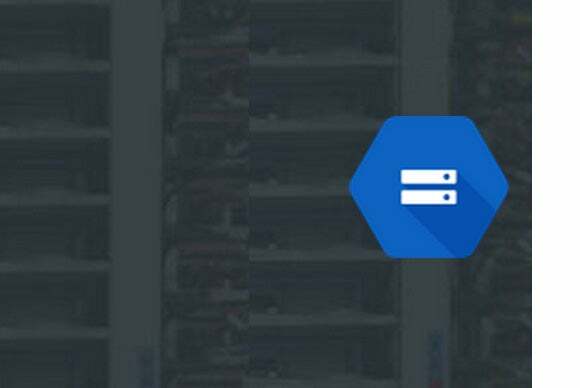 “You now will be able to configure one-time data migrations, as well as schedule recurring data transfers,” explained Google product manager Avtandil Garakanidze in a Thursday blog post. The Cloud Storage Transfer Service also allows users to perform lifecycle management, Garakanidze added, including automated archival to Cloud Storage Nearline and scheduled deletions. Finally, Google has added five new companies to its Nearline partner ecosystem. The Actifio, Pixit Media, Unitrends, CloudBerry Filepicker join Veritas/Symantec, NetApp, Iron Mountain and Geminare.